+ I can literally feel the fragrance of spring. 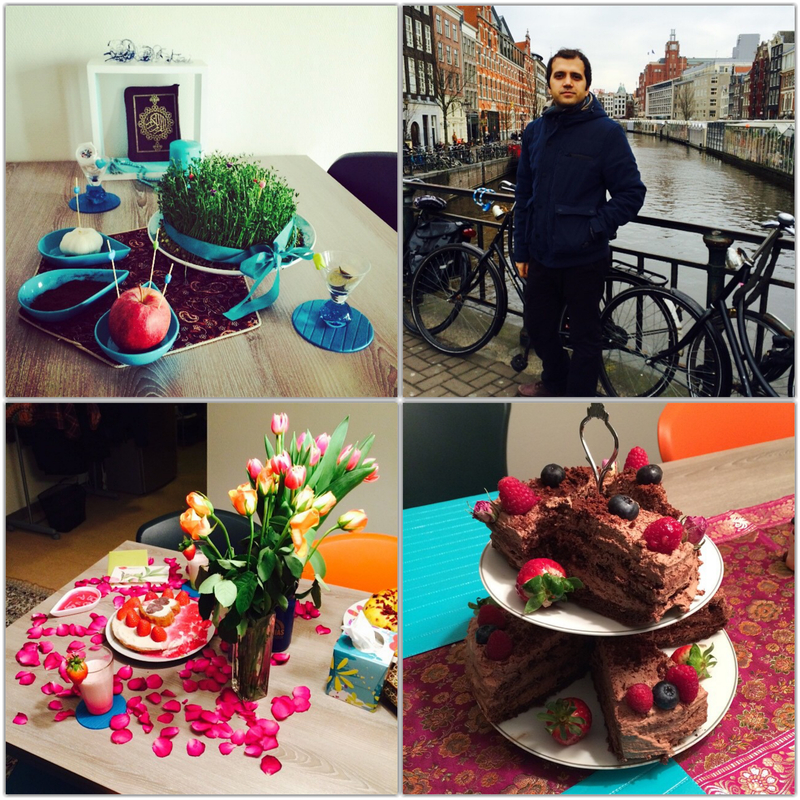 Less than one week is left to Nowrooz — Iranian/Persian New Year. Nowhere can replace your home country especially when it comes to Nowrooz. This year I really miss the celebration of Nowrooz in Iran! Last year, we had a memorial Nowrooz. Hamed’s wedding was close to Nowrooz and we also had a German guest who was with us to experience and enjoy all Persian traditions for the first time. It was one of the rare occasions after my (im)migration where the whole family gathered together. 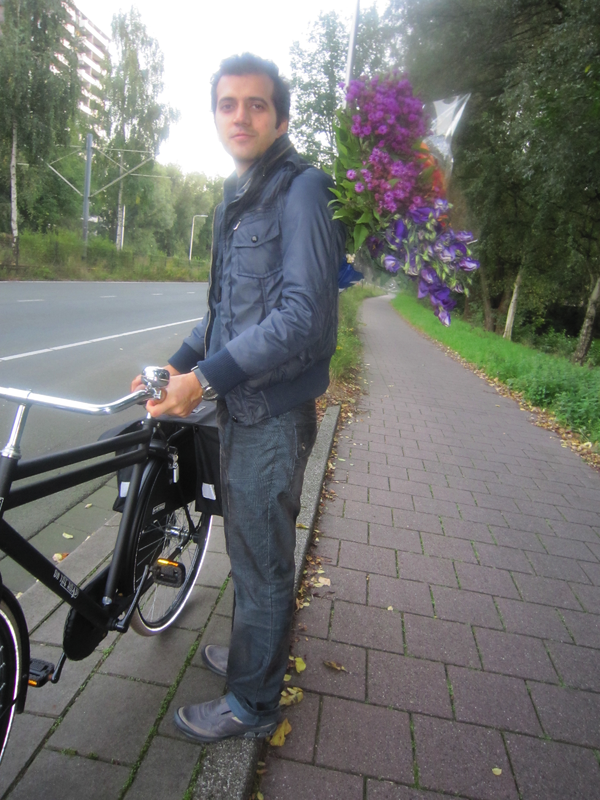 Anyways, this year we will celebrate Nowrooz in beautiful Amsterdam with nice flowers and spectacular blossom of spring. + Last Friday I attended prof. George Lakoff‘s talk on Big Data and the necessity to have linguists there. It was an amazing talk full of motivations and insights. Computers and AI can never replace humans! That was my conclusion there! One quote that he was emphasizing there was that education is required to know about our possibilities in life. Without education, we might look like a blind person that at some point of his life might suddenly notice what valuable things he has missed during his life and what a great potential he has wasted by just being uneducated! There is a light which never turns off. It’s always there illuminating truth in falsehood, good in bad, and justice in injustice. Life has got its own up and down, but something is always on top in all these moments. When you breath, you feel it, when you smile you reflect it and when you cry you miss it. There is no doubt that the beauty of life entails a reality which cannot be ignored. + Summer is here again full of delicious fruits and thrilling colors. While I am tasting all the beauties of this great season I have to think more about the future which is coming closer to me. I am passing 30 this summer (26th June), a magical number which makes you think and recall what you have passed behind. By a simple search on the Web, a plethora of posts related to Turning 30 just pops up. “30 Life Lessons From 30 Years“, “30 Things To Do Before Turning 30“, “Life doesn’t end at 29…“, “30 Things Turning 30 in 2014” and much more. I think it is not that difficult to evaluate your performance; you just need to look at your past, your present and the goals you have in mind for future. Fortunately, I do not feel upset and disappointed when assessing my past and current status, just having a kind of feeling being a tiny dot in the infinite universe of knowledge. The more you walk, the more deterministic you become that you are nothing unless your thoughts, your believes and your passion count. This blog post seems to be very philosophical which is not strange and unpredictable. The truth is I am impressed by the effect of 30! The process of text analytics in conTEXT starts by collecting information from the web. conTEXT utilizes standard information access methods and protocols such as RSS/ATOM feeds, SPARQL endpoints and REST APIs as well as customized crawlers for WordPress and Blogger to build a corpus of information relevant for a certain user. The assembled text corpus is then processed by Natural Language Processing (NLP) services (currently FOX and DBpedia-Spotlight) which link unstructured information sources to the Linked Open Data cloud through DBpedia. The processed corpus is then further enriched by de-referencing the DBpedia URIs as well as matching with with pre-defined natural-language patterns for DBpedia predicates (BOA patterns). The processed data can also be joined with other existing corpora in a text analytics mashup. The creation of analytics mashups requires dealing with the heterogeneity of different corpora as well as the heterogeneity of different NLP services utilized for annotation. conTEXT employs NIF (NLP Interchange Format) to deal with this heterogeneity. The processed, enriched and possibly mixed results are presented to users using different views for exploration and visualization of the data. Additionally, conTEXT provides an annotation refinement user interface based on the RDFa Content Editor (RDFaCE) to enable users to revise the annotated results. User-refined annotations are sent back to the NLP services as feedback for the purpose of learning in the system.